I have experience of working with a registered charity providing emotional support for those who have a caring role. Whether by choice or because of a need within your family, the role of a carer is an intensely demanding. It is also often physically and mentally exhausting. You may be looking after someone due to a mental or physical disability, it may be following an injury or health issue or it may be a life-limiting illness. They may also have mental health issues of their own. 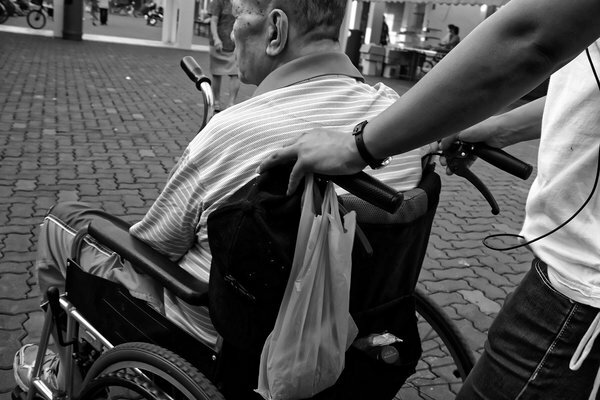 If someone you know could not cope without your help and you are unpaid, you are a carer. No matter what your type of caring role, you and your emotional health are also important. As a carer you also need to look after yourself and your own needs. This will help give you the strength needed to fulfill your caring responsibilities. If you are looking after a loved one your caring role may also be an emotional rollercoaster. You may be a carer to someone but you may also be their wife/husband/son/daughter/friend. You may need to be different people to the same person. The blurring of boundaries between the different relationships you have with the same person may be confusing. Your own mental wellbeing and health may come second place to that of the person you are caring for and may lead to issues such as depression, stress, isolation and more. Having counselling sessions will help provide you with a space of your own. Your sessions will allow you to talk through your feelings and get a better idea of what is going on for you. Sessions are confidential and without any judgement. You may have a range of feelings in your role as a carer as well as in your life outside of your caring role and we can explore those. To find out more about how counselling and psychotherapy can help you in your caring role, get in touch.